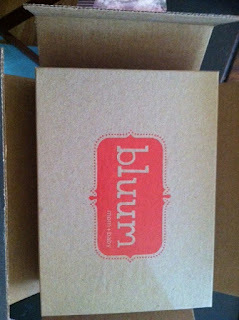 So, this is my first month of getting a Bluum box. The regular subscription rate is $30 for three months plus a $1 shipping fee. Essentially, you would pay $10/ month. Eversave.com was running a daily deal to get a 3 month subscription for $18. I had a $5 gift voucher that I won from bzzagent.com, so essentially I paid $13 for three months, or around $5/ box. 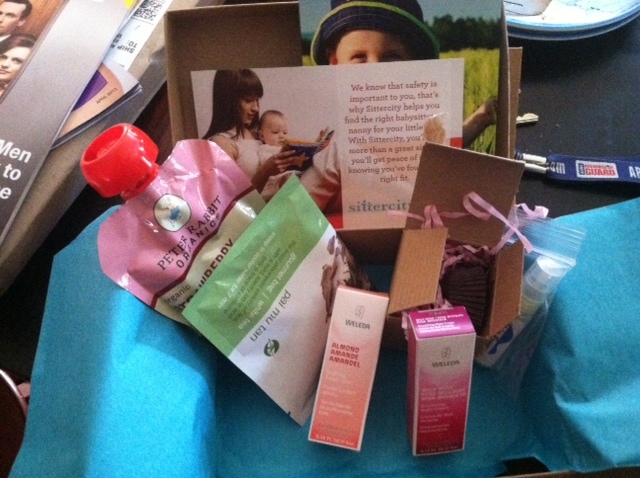 Bluum box sends samples of baby products each month. This is very similar to the other sample box sites out there, but focuses on "baby" products. I thought the box overall may be worth $5, but not much more. It came nicelay packaged, and I can see myself using each and every sample (I already at the chocolate). I have read that other subscribers have been disappointed with the boxes over the past several months, so we shall see what the next month brings. I cannot imagine I will keep receiving the boxes once my subscription runs out.